Guarana is a popular source of caffeine in South America. It contains more caffeine than coffee and it is commonly used as a stimulant in energy drinks. Guarana is a climbing plant of the Sapinadaceae species native to the Amazon basin in Brazil. It is most noted for its fruit which is the size of a coffee bean and shares the same principal active ingredients with coffee. Guarana seeds contains double the amount of caffeine found in coffee beans. As a dietary supplement, it is primarily a stimulant. Guarana seeds are the major source of caffeine in South America. The caffeine in guarana is also known as guaranine, theine and mateine. The natives usually shell guarana, wash and dry the seeds before pounding them into fine powders to make tea. This herbal tea is also available in capsule form and it is a popular food additive found in energy drinks and carbonated soft drinks. Besides caffeine, guarana also contains other xanthine alkaloids such as theophylline and theobromine. Other notable ingredients of guarana are tannins and phenols like catechins and epicatechins. The caffeine content of guarana has been shown to improve memory, cognition and mood in human test subjects. Other medicinal benefits of guarana include its antioxidant and antibacterial properties. It has also been shown to reduce blood clotting in laboratory animals. In humans, guarana can reduce fat cells and a number of studies have confirmed its positive effects on weight reduction (the weight reducing mixture also contained yerba mate and damiana). The caffeine content of guarana is mainly attributed to its effect on weight. However, the other xanthine alkaloids (especially theobromine) may also contribute to this outcome. Caffeine and theobromine are central nervous system stimulants. They increase heart rate and metabolic rate too. They stimulate the release of epinephrine and norepinephrine which drive muscular activity. These actions lead to the burning up of fats stored in the muscles. In this way, guarana is effective for reducing fatigue and for improving mental focus. It restores alertness and improves performance too. All of these reinvigoration needs energy which is provided by burning up any excess glucose in the blood and the fat stores of the body. This thermogenic effect of guarana can quickly lead to weight loss if kept up. Caffeine and theobromine are also diuretic agents. This means they promote water loss in the kidney tubules by preventing its reabsorption and so promoting its elimination. By promoting diuresis, guarana can promote weight loss in people suffering from edema and whose bulk is due to water weight. 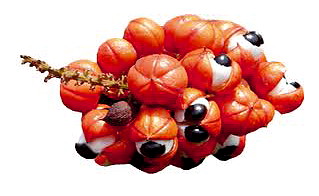 Lastly, the theobromine in guarana is known to suppress appetite. Therefore, guarana consumption can reduce the consumption of more calories. Of these 3 effects, the first one is the strongest and it affects everyone. Weight loss by diuresis is only significant when edema is also present. Appetite suppression is not a very strong effect of guarana given that its theobromine content is not as significant as its caffeine and even theophylline contents. There are 2 landmark human studies that are often quoted to present the weight loss benefits of guarana. The first study was published in 2001 in the Journal of Human Nutrition and Dietetics. It recruited a group of healthy volunteers as well as overweight patients to determine the effects of an herbal preparation made out of guarana, yerba mate and damiana on weight loss and gastric emptying. Each subject of the study was given either 3 placebo capsules or 3 capsules containing the 3 herbs. The weights of the subjects were taken before and after the trial. The duration of the study was 45 days but some people continued with the herbal preparation and were monitored for 12 months. The results of the study showed that guarana-containing herbal preparation significantly reduced weight in the overweight patients. In addition, this preparation reduced the time for the patients to perceive gastric fullness and delayed gastric emptying more than in the placebo group. Although this study does not specifically attribute the weight loss to only guarana, this association can be inferred from the similar result produced in the second study which used a combination of ephedrine and guarana. Published also in 2001 but in the International Journal of Obesity-Related Medical Disorders, this second study combined guarana with another popular local preparation known as ma huang. 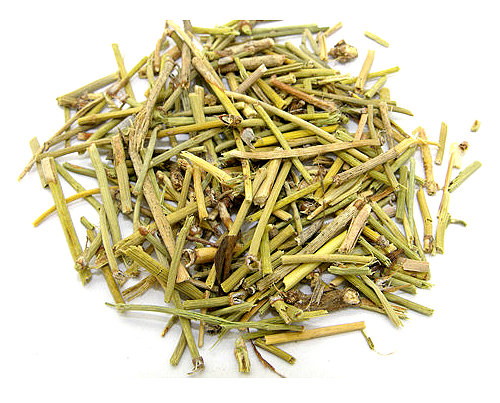 Ma huang is preprared from ephedra and it contains 6 – 8% ephedrine. In this study, the 67 subjects recruited where given either a placebo or a combination of 72 mg ephedra and 240 mg caffeine per day for 8 weeks. After the study, the guarana-ephedra group lost 4 kg on the average while the placebo group only lost 0.4 kg. In addition, the guarana-ephedra group experienced reduced hip circumference and lower serum triglyceride levels. The researchers concluded that the guarana-ephedra mixture was effective for achieving short-term weight loss through fat loss. The side effects reported by volunteers included dry mouth, headache and insomnia. It is believed that ephedrine and caffeine improve each other’s potential for promoting weight loss. In fact, a popular traditional weight loss preparation is made from combining ma hung (ephedrine) with guarana (caffeine) and white willow bark (aspirin). This combination is so effective that it is commonly used in energy and sports nutrition drinks. However, contrary to popular belief, the combination does not cause weight loss because it is a thermogenic agent that can increase metabolic rate; it causes weight loss by increasing adrenal gland functioning and by suppressing appetite. It should be noted that decaffeinated guarana is available and it has no effect on lipid metabolism and weight loss. Although guarana is rated by the Food and Drug Administration as “generally recognized as safe”, it does have its side effects. Since guarana contains the most caffeine of all plants, most of its side effects are due to caffeine. These side effects include sleep disturbance, restlessness, irritability, gastrointestinal upset, anxiety and rapid heart rate. In addition, since the caffeine in guarana is a diuretic, regular urination and dehydration are to be expected. Rehydration by regular water intake is advised to prevent dehydration. Just like regular caffeine consumption, long-term ingestion of guarana leads to tolerance and, therefore, disappearance of most of these side effects. However, high doses of guarana has been reported to cause seizures and irregular heartbeats. The advice is for those who do not tolerate stimulants very well to avoid guarana altogether. Other people who should avoid guarana are children as well as pregnant and lactating women. This is because of lack of safety studies into the effects of guarana in these groups. People with existing heart conditions or those who easily develop peptic ulcers should also avoid guarana. Guarana should not be taken alongside other stimulants to prevent the worsening of central nervous system symptoms. 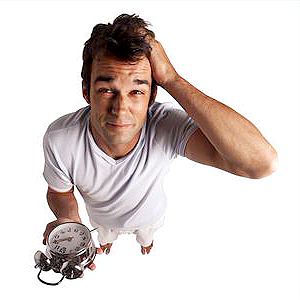 Stimulants to avoid range from regular coffee and stimulant supplements to street drugs and stimulant medications. Since guarana prevents blood clotting, it should also not be combined with blood thinners such as warfarin. Other drug combinations to avoid include lithium, sedatives and antidepressant since these also affect neurotransmitter levels in the brain.